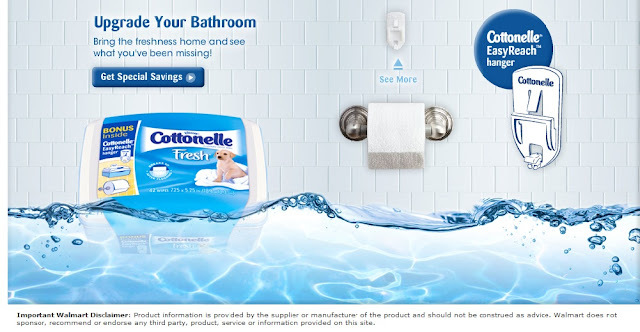 Click Here to print yours ... Get a $1.00 off 2 tubs of Cottonelle Flushable Moist Wipes printable. 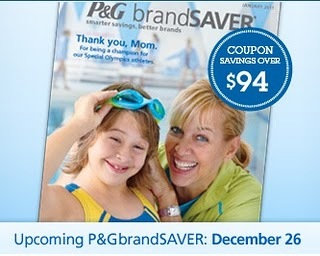 Coupon expires 1/6/11 if you printed it out now. 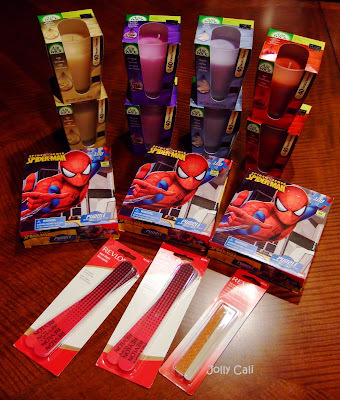 $15 Mail in Rebate off Oral B Pulsonic, Professional Care or Sonic Rechargeable Toothbrush. 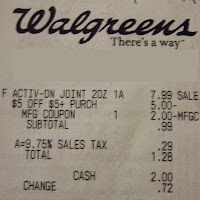 Valid 12/12/10-01/31/11. It's confirmed that we’ll have only one insert this Sunday, a P&G. 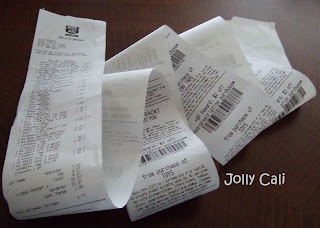 I saw some good coupons for Crest, Olay, Gillette, a high value Sinex and more. You can view the whole insert Here which I also shared in my earlier post too. Head on over to the Nivea Facebook page. 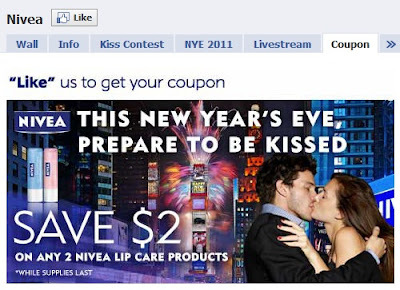 Like them and click on the coupon tab and print your $2/2 off any Nivea lip care products HERE. Make sure to print twice by hitting the back button. You can print it twice ... I love free gums! 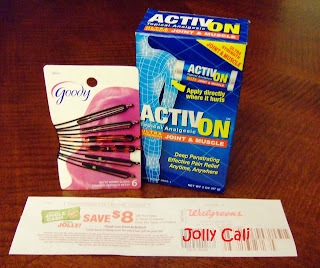 - $1 SCR #62 Revlon beauty tool Limit 1 December 2010 rebates (valid 11/28-12/25) All rebates must be submitted by 1/24/11. 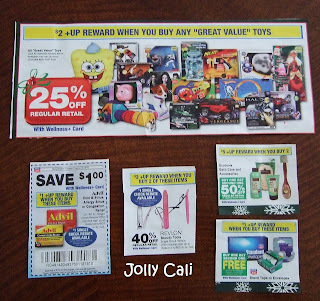 Give the total purchase coupon first, if you have one (i.e $5/$25), then manufacturer’s coupons and then the Rite Aid store coupons or video value coupons. A big thank you to hip2save and iheartriteaid for helping me saved a lot! I started out with NO +UP rewards. 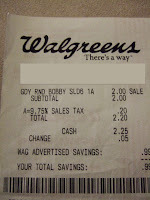 - $1 SCR #97 Advil Congestion Relief, Cold & Sinus or Allergy Sinus Product 10-40 ct Limit 1 December 2010 rebates (valid 11/28-12/25) All rebates must be submitted by 1/24/11. I was very surprised that my store has all the items that I need to get over $25. I considered myself really lucky for this awesome trip! 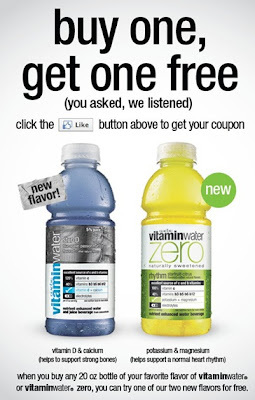 Become a fan of Vitamin Water on Facebook for Buy One, Get One Free printable coupon (20 oz). 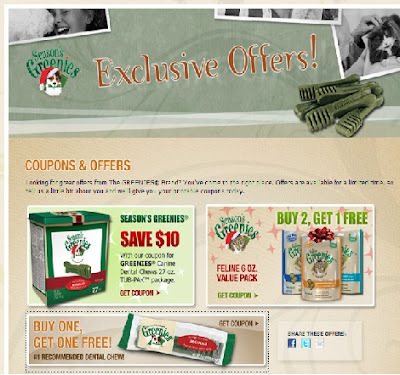 These Greenies dental chew are expensive but now is your chance to get them not at their regular price with these coupons. 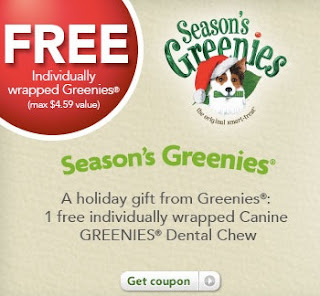 If you have PetPerks (from PetSmart), you can sign up for one individually wrapped Canine Greenies dental care FREE. It has been raining heavily for the past few days here in SoCal and it is still raining while I am working on this update. I love the shower and the cleanliness that comes in the air and I love to get drenched in rain so I decided to make my last trip to Petsmart for 2010 on the past Saturday to buy some of my favorite brands for dog treats. 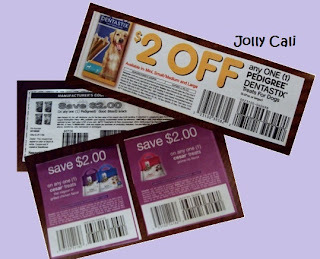 I paid using these $2 coupons for Pedigree DentaStix, Cesar Softies and Pedigree Good Bites. 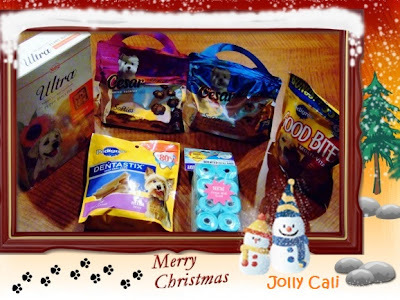 I think $.99 for a bag of Cesar Softies treats is a great deal! 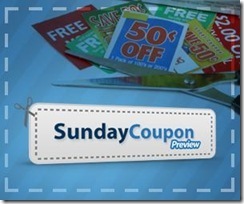 I do not intend to find coupons for it though... ... I figured out that I have enough treats to last for another at least 2 months! 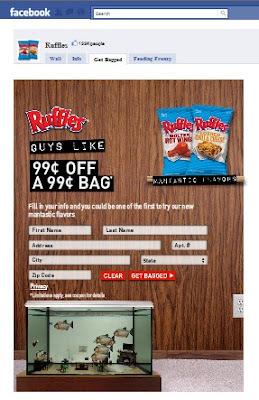 Check out Ruffles - like them, then click on the "get bagged" tab - to get a coupon for a FREE bag of $0.99 Ruffles! Your coupon will come via regular mail. 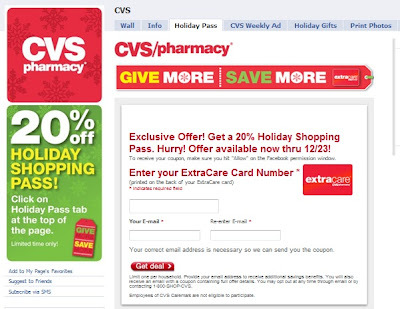 If you are a fan of CVS on Facebook or "Like" them, you would have seem this invitation to get a coupon for 20% off your next in-store purchase through Sunday (12/26). You have to enter your ExtraCare card number and email address and have it printed out by Thursday (12/23). This coupon excludes sale price items. I was at their Facebook Wall Post just about 1 minute before the sample giveaway started at 4pm EST today. They were 4 minutes late in sending out the Register Link, I thought it was gone as the page cannot be loaded but I tried a few time to refresh the page and it worked. 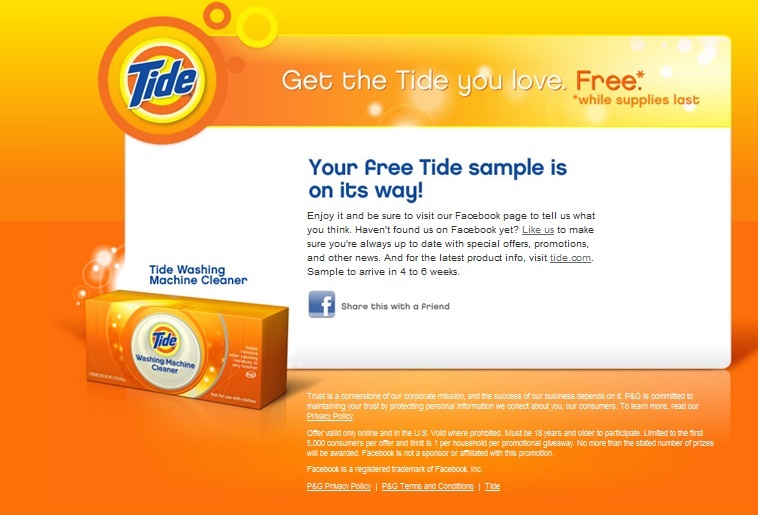 Anyway, I was lucky enough to input my details in time to be accepted as 1st 5000 and I got my Free sample!!! For those who tried, did you get it too? When to buy the newspaper if you are not on subscription? There are no RedPlum or SmartSource scheduled for the weekend of 12/19. I started out with a $5 Super Jingle Ca$h from my 12/09 purchase and did 2 separate transactions for this trip. Note: I could have "earned" even more if I did a purchase of $30 (pay with my $5 Super Jingle Ca$h) to receive another $5 Super Jingle Ca$h for next week's purchase, but I decided not to follow the game this week for there aren’t many RR deals for week starting 12/19. 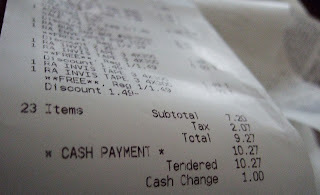 I do not count Super Jingle Ca$h as OOP because I did not pay for it. 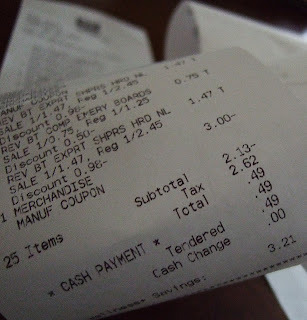 Here's the transaction I "earned" my $5 Super Jingle Cash from buying over $25 before coupons. 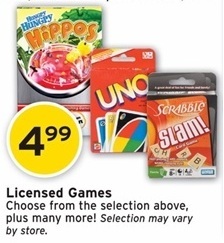 I did not spot any upcoming deals to stack with this store coupon and available manufacturer's coupon. 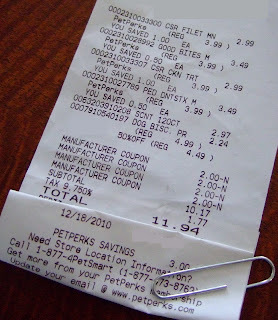 However, it is another 11 weeks before the coupon expires in early March '11. 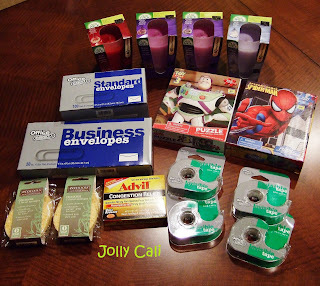 I recalled back in mid-October, I received two CVS postcard mailer coupons for FREE Schick Hydro products: One for a FREE Razor (max $9.99) and one for a FREE Shave Gel (max $3.99). 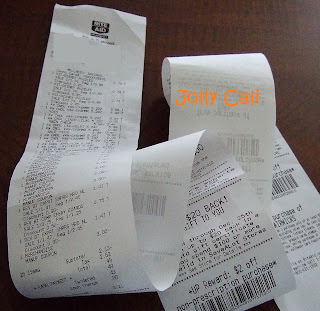 I was glad that I scored a great deal using manufacturer's coupons which can be stacked with those CVS store coupons in their Extra Bucks deal at the same time. 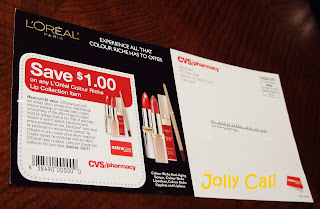 I am not sure how CVS determines the distribution of postcard but I believe that signing up on their website and being a member of their Extra Card helps besides regular store purchase. 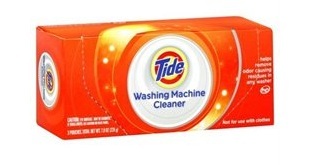 Tomorrow on Friday Dec 17 at 4 pm EST, Tide will be giving away 5,000 packs of their Tide Washing Machine Cleaner. You’ll need to “Like” them on their Facebook and pay close attention to their Wall Posts! I’m sure that all 5,000 pakcs will be gone within split second. If you really wanted to get it, be early at least 15 minutes to check and monitor their Wall Posts ... remember to Refresh for any updates too. Good Luck! 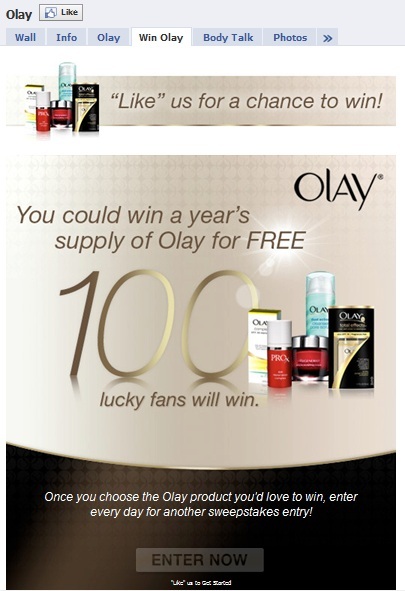 Oh and let me know if you’re one of the lucky ones!